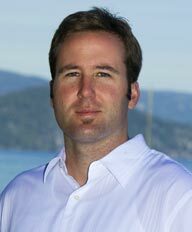 Lake Tahoe’s North Upper Truckee is a great mix of local residences and second home owners. It happens to be where my family live. 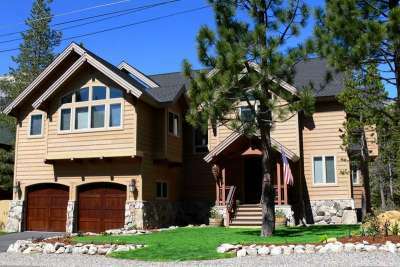 We have built a couple of homes for ourselves off of North Upper Truckee for a variety of reasons. For one, it perfectly characterizes Lake Tahoe to us; the entire area is nestled up against Echo Summit and Angora Ridge, and not far from the Truckee River, which offers endless recreation for those nearby. My two beautiful daughters can hit a trail on their bikes, ski cross-country or ride snowmobiles right down the street. Of course, we see a bit more snowfall out here, but it never poses a major problem. All you need is a decent snow blower and 4-wheel drivem and you’re fine. In fact, a much higher percentage of locals live in this area, which leads me to another important reason for opting to live in this area. I don’t want my kids to grow up in an area surrounded by vacation homes. They need other families around them to enjoy their day to day activities with. One big draw to this area for families is the elementary school nearby: The Lake Tahoe Environmental Science Magnet School. Currently, this school is the highest ranking school in both academics and attendance in the school district. To learn more about our local schools, visit http://www.ltusd.org/. Most of the people living in this area are blue collar workers, such as teachers, firefighters, and contractors. They take pride in their homes and their families, and it shows. When compared to the rest of South Lake Tahoe real estate, North Upper Truckee homes for sale have always ranked well in median home values. It’s never the highest in value, because of its distance to tourist amenities like the lake and casinos, but it’s not always about ROI; it’s about a lifestyle choice. Please, I invite you to see for yourselves – I’m confident you’ll fall in love with it as well!